Scott Pioli during his appearance on the Dan Patrick Show. 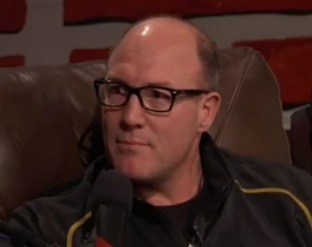 Former Chiefs GM Scott Pioli appeared on the Dan Patrick Show on Tuesday and discussed the Jovan Belcher murder-suicide that took place on Dec. 1. Pioli told Patrick he needed professional help and said he’s not sure he’ll ever shake what he saw that day outside the Chiefs practice facility. Patrick peppered Pioli with questions, trying to get Pioli to open up or at least offer up a better understanding as to why Belcher would do this, and I thought Pioli handled it well with his explanation. What I was also impressed with was that Pioli didn’t consider himself a victim and didn’t gloss over Kasandra Perkins, the victim in the murder, or the families who were affected. Watch Pioli’s appearance on the Dan Patrick Show.